Customize your MacBook with a decorative design from our collection of MacBook stickers. "I am your father..." Original design of Darth Vader. 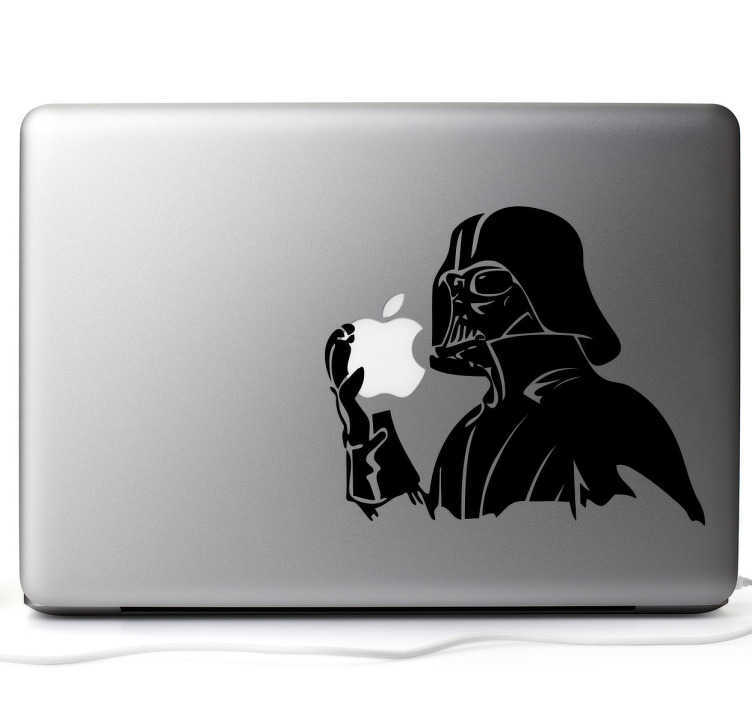 If you are a big fan of Star Wars then this decal is perfect for your Apple device. Personalise it your way! Decorative sticker for your laptop where it appears the iconic villain eating the apple of Apple. Ideal design for fans of Apple and the Star Wars saga. Easy to apply and leaves no bubbles, made with high quality vinyl. * Depending on the device size vinyl proportions may vary slightly.